Neil comes from a good Chiropractic lineage, with both of his parents being qualified Chiropractors. It was his parents Martin and Christine who established Mona Vale Chiropractic Centre in 1974. Neil took over the running of the clinic in 1984. Neil graduated from Sydney College of Chiropractic in 1981. He achieved a Doctorate in Osteopathy as well as Chiropractic. This training combination is achieved by very few practitioners. He completed his Acupuncture training in 1984 which culminated with a training visit to China. Neil is trained in all Chiropractic techniques including Diversified, Activator, Gonstead, SOTO and AK. He has recently completed training in Scenar. Neil has been a Governor of Sydney College of Chiropractic for many years as well as being Vice President of the Australian Acupuncture Association. His special areas of interest are sports injuries and the treatment of children and animals! It is a common sight to see children playing and dogs patiently waiting in line for the next treatment. In 2013 Neil graduated as an Animal Chiropractor after an intensive course in the USA. He is now an accredited member of the International Animal Chiropractors Association. Neil’s three sons and two dogs have certainly given him lots of experience in these areas. Neil has been the trainer for Sydney school boy rugby teams and is happiest when he is running the side-line or strapping the players at local clubs Newport and Warringah. Neil is also very involved with Collaroy Surf Club. Mona Vale Chiropractic Centre supports the Collaroy club, with many of the competitors regular attendees at the clinic. 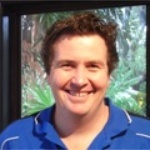 Mitchell is the latest Chiropractor to join us at Mona Vale Chiropractic Centre. Mitchell completed his Chiropractic training at Macquarie University. Recently, Mitchell returned to uni to teach and mentor chiropractic students at the chiropractic student clinics as an associate supervisor. Mitchell initially started working with us as a locum while staff members were away. He fitted in perfectly and is now working permanently with us.Mitchell focuses on Chiropractic adjustments, soft tissue techniques, dry needling and specific exercise rehabilitation. He is a firm believer in empowering his patients to take an active role in their own treatment, through exercises and self-mobilisations at home, gym or even the work place. Mitchell works on Monday, Tuesday, Thursday, Friday and Saturday and is available for late evening appointments. Mitchell has a strong sporting background and is a keen rugby union player, currently playing in the Sydney Sub-District competition. 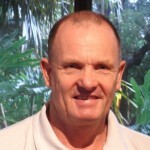 Graeme has been working at Mona Vale since November 2009 and holds a Diploma of Remedial Massage. He is a professional freelance musician, working as a flautist in various orchestras. Graeme enjoys the humanistic combination of music and remedial massage and believes in the healing quality of touch.